Every sip is characterized by the taste of vanilla, almond and cinnamon into an harmonious overall effect. 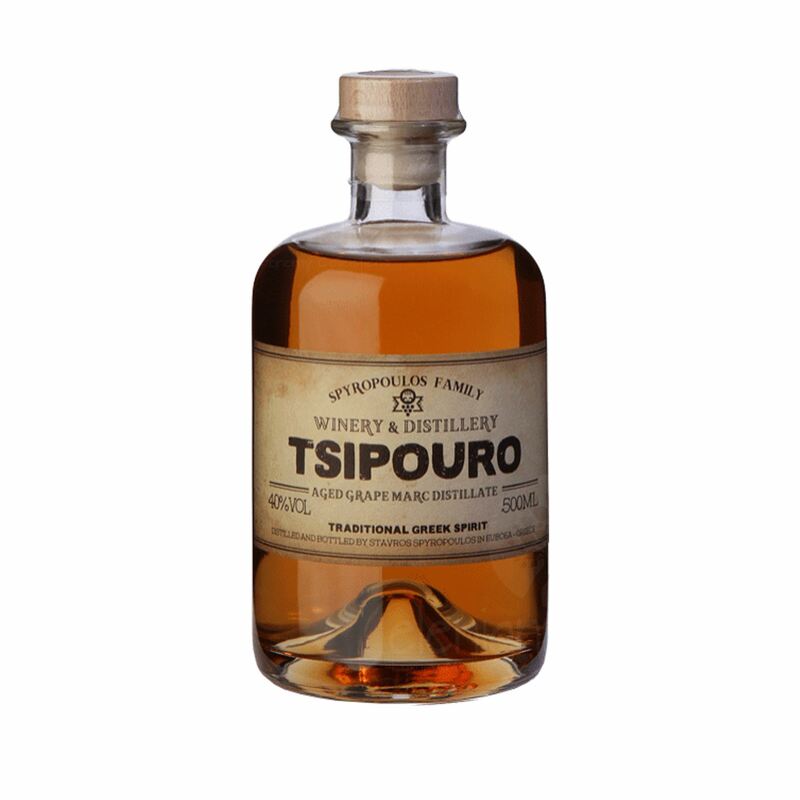 The Spyropoulos family grape marc in this version has rested in a collection American and French barrels, giving it a rich flavor and full body. Every sip is characterized by the taste of vanilla, almond and cinnamon into an harmonious overall effect. Tsikoudia is considered by Cretan people to be a medicine.